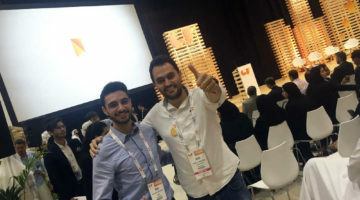 The winners of The Global Startup Movement Competition, part of the GITEX 2017, were announced yesterday and two Lebanese startups clinched two out of the six prizes awarded. Modeo walked away with the most disruptive startup idea and $15K in cash while Cherpa won the best youth startup and $15K in cash as well. It … Continue reading Two Lebanese Startups Win Big at GITEX 2017!